Up next on What Came First, we've got an inviting, driving EP from Anderson Noise & Sugar Hill whose sound we have championed at the club for the last 15 Years and featuring a remix by L_cio. 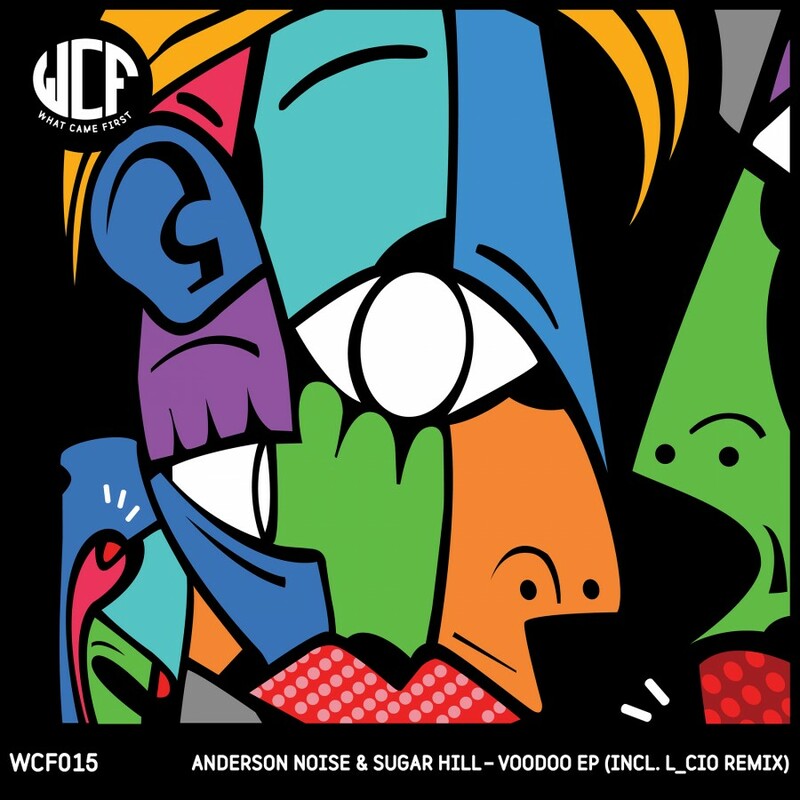 D Edge resident and Brazilian Electronic Music Legend Anderson Noise has teamed up with the latest emerging artist to come from South America - Sugar Hill - to release their debut WCF three track release. 'Voodoo' kicks off with well rounded, hypnotic drums which steadily roll into tribal tinged percussion, which blend with an indecipherable, trippy vocal before developing into a cacophony of analogue layers - an instant injection of energy ignites to set any dance floor alight. 'Sarava' is a creepier, absorbing track with a prowling bass line and subtle rhythmic developments throughout the production. It's a raw, gnarly cut suitable for an intimate space where you can play down a deeper, darker sonic tone. L_cio leaves his stamp on the production with a more intense, uplifting remix of 'Voodoo', packed with stabby synths, and laced with an addictive spine-tingling melody. It's a euphoric edition of the original, perfect to end any set on a high with that relentless, gripping energy throughout.